Want to be notified of new releases in Linkid/fretsboard? 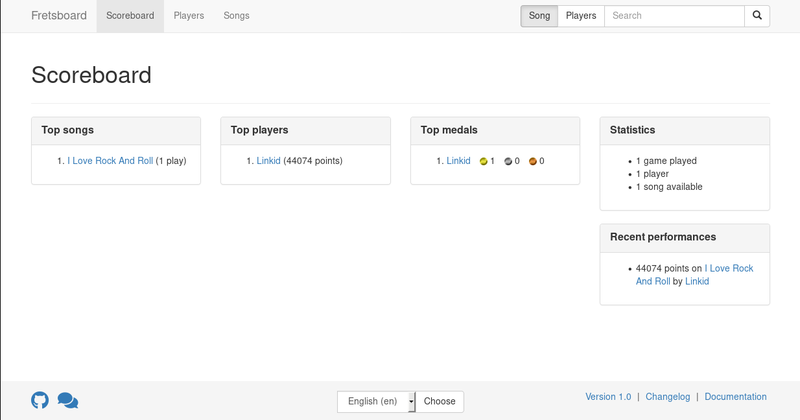 Fretsboard is a web scoreboard for the rhythm game Frets On Fire. A small instance is available. This application comes from the old Frets On Fire Charts Server. For more information, see the Frets On Fire forum post.